Hello everyone! After a month long of rest I am now back to blogging about my financial and lifestyle tips and rants. The month of May has a very hard one for I have to finish a lot of pending projects at work. But now I’m back – FOR GOOD! stay as one of the Top 100 blogs Business and Finance Blog although I came from a long hiatus. As a comeback I will be introducing a lot of new concepts here in my blog. I will also continue with the Series and Tips. 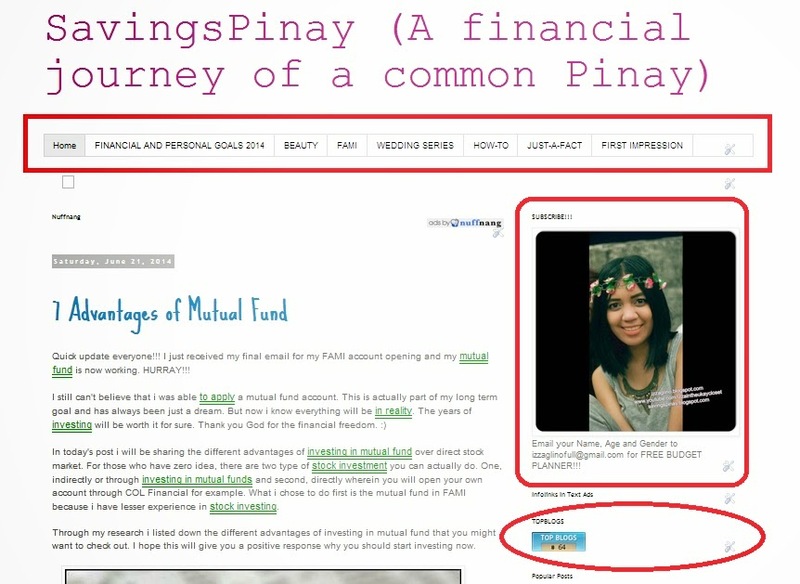 I will also share some personal experiences and updates from the things that I learn towards financial freedom. I know the road is still far but I am taking everything one step at a time with the value of slowly but surely.